The face of American actor and dancer Yuki Shimoda (b. Sacramento, CA, 10 August 1921; d. Los Angeles, CA, 21 May 1981) is one of the most familiar in films and television of the 1960s and ’70s, and yet one of the hardest to place. As a second-generation Japanese-American (Nisei), he actually had to learn to mimic the accent of a native Japanese speaker in order to play the dozens of grocery clerks, doctors, and WWII enemy officers that were his stock-in-trade. His Broadway career was limited to three shows (The Teahouse of the August Moon 1953, Auntie Mame 1956, and Pacific Overtures 1976), but each was quite successful, and each led to an important role in a film version. Shimoda’s parents came separately to the United States from Japan in the early twentieth century. Although they were from the same prefecture, they were from vastly different backgrounds: his mother was from an influential samurai family; his father’s father had been a sweet potato farmer. They set up a thriving restaurant, pool hall, and boarding house business in Sacramento; Yukio and his younger brother (another brother died in childhood) grew up in comfortable circumstances. Always interested in acting and dancing – though not considered particularly gifted –, he was a great admirer of Fred Astaire and often insisted on being called Fred. Yuki Shimoda went on to study at Sacramento Junior College (now Sacramento City College), but was forcibly withdrawn in 1941 when Japan attacked Pearl Harbor. President Roosevelt’s Executive Order 9066 sent over 100,000 Japanese Americans to internment camps for the duration of World War II; the Shimoda family was incarcerated at the Tule Lake War Relocation Center in northern California. They lost everything they had and were not permitted to return to Sacramento after the war, but were transplanted to Chicago. Shimoda made the best of it; he became one of the camp’s most energetic entertainers. A photograph of him dressed as Carmen Miranda, with fruit on his head, singing “Mama, yo quiero” to amuse his fellow internees, survives. In Chicago Shimoda went to Northwestern University – notoriously fertile ground for the cultivation of the dramatic arts – to earn a degree in accounting. He lived there for several years, working for the University of Chicago and teaching a Japanese language class. Meanwhile he studied acting and improvisation with the Compass Players, a forerunner of Second City. 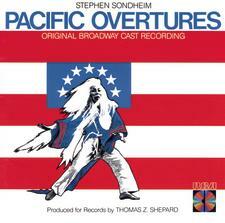 Ultimately, however, he was one of the very first Asian Americans to be hired on Broadway. The show was The Teahouse of the August Moon (1953–56); the starring role for a Japanese, the wily interpreter Sakini, was played by David Wayne, undoubtedly with some coaching from Yuki. (In the 1956 Hollywood movie the role went – unbelievably – to Marlon Brando.) Yuki Shimoda was Mr. Keora, a choreographer, in the original Broadway cast, and in the 1962 revival for television with Wayne, John Forsythe, and Miyoshi Umeki he played Mr. Omura. Shimoda got a big break in 1956 when he landed the part of Ito (the houseman) in the Broadway hit Auntie Mame, starring Rosalind Russell. The play was nominated for eight Tony Awards®, winning three, and when it closed in 1958 he moved to Hollywood to recreate his role in the movie version. Though casting directors were still reluctant to give important three-dimensional roles to Asians, Shimoda soon had success obtaining small parts in television series (Hawaiian Eye, Johnny Midnight, Peter Gunn, The Islanders, Mr. Ed, Thriller) and films (Career, Seven Women from Hell, The Horizontal Lieutenant, A Majority of One – with Alec Guinness in yellowface as a Japanese industrialist). Through the sixties and early seventies he could be seen in more substantial parts on McHale’s Navy (as a Major), The Andy Griffith Show, Gomer Pyle, I Spy, It Takes a Thief, Bill Cosby (as a salesman), Ironside (as a ship’s captain), Police Story (as an officer), and Sanford and Son, among several other series. During this period Shimoda became associated with the East West Players, established in Los Angeles in 1965 by Mako Iwamatsu, Beulah Quo, and several other Asian American actors interested in performing roles beyond the stereotyped parts into which Hollywood was pigeonholing them. Over the last 46 years EWP has become “the nation’s largest producing organization of Asian American artistic work and the longest-running professional theatre of color in the country.” They have premiered over 100 plays and musicals about the Asian Pacific American experience and held over 1,000 readings and workshops. In 1976 Yuki Shimoda was back on Broadway, after twenty years, playing Abe, the First Councillor and later Shogun, and singing a note or two in Stephen Sondheim’s Pacific Overtures. Yuki’s friend Mako from EWP was in the starring role as the Reciter. Although the show ran for only 193 performances, it was nominated for ten Tony Awards®. It was videotaped for broadcast, with subtitles, on Japanese public television. 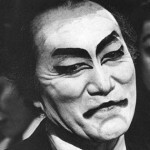 Now in distinguished middle age, and admired by his peers as an “actor’s actor,” Shimoda won film and television roles that tended to carry more depth and dignity: an officer on a Japanese aircraft carrier in the blockbuster Midway (1976) with Charlton Heston, Eddie Albert, Henry Fonda, James Coburn, Glenn Ford, Toshirō Mifune, Robert Mitchum, Cliff Robertson, Robert Wagner, Robert Ito, James Shigeta, and Noriyuki “Pat” Morita; a prime minister in MacArthur (1977) with Gregory Peck; a savvy medical examiner (in the absence of Jack Klugman) in an episode of Quincy, M.E. Shimoda’s favorite movies (Farewell to Manzanar 1976, The Last Flight of Noah’s Ark 1980) were those in which his character was interesting primarily for his humanity, and for the human dilemmas he faced. In Noah’s Ark, a family-oriented Disney film, he played a Japanese World War II commander marooned on a Pacific island for 35 years, and spoke nothing but Japanese. Later appearances in television movies and miniseries were The Immigrants (1978), A Death in Canaan, and A Town Like Alice (Masterpiece Theater 1981); he was also seen on Wonder Woman, CHiPs, and M.A.S.H. He was in a martial arts fantasy with Chuck Norris, The Octagon (1980). A 1970s Chrysler ad featured him and another Japanese automobile enthusiast admiring a Dodge Colt. Shimoda supplemented his income from acting by working as an accountant, and since he never married and had no children, he was fairly well off. He was a dog lover and enjoyed driving his favorite collie around the Hollywood Hills in a yellow convertible sports car, wearing “Steve McQueen” sunglasses. Yuki Shimoda died at 59 of complications from colon cancer. Four years after his death, in 1985, Visual Communications of Los Angeles made a thirty-minute documentary, Yuki Shimoda: Asian American Actor, including examples of his work and portions of an interview.